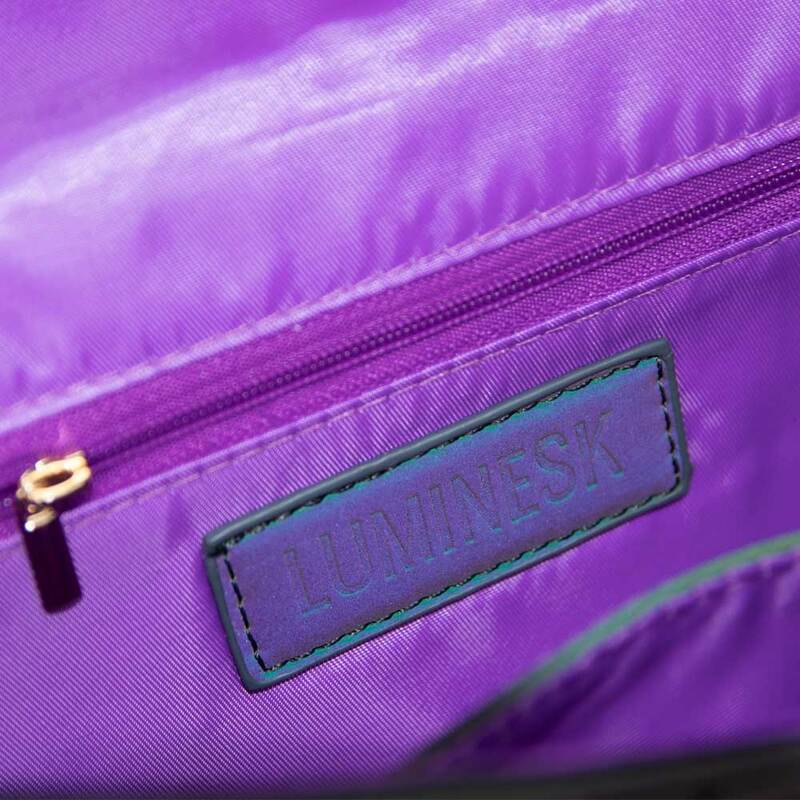 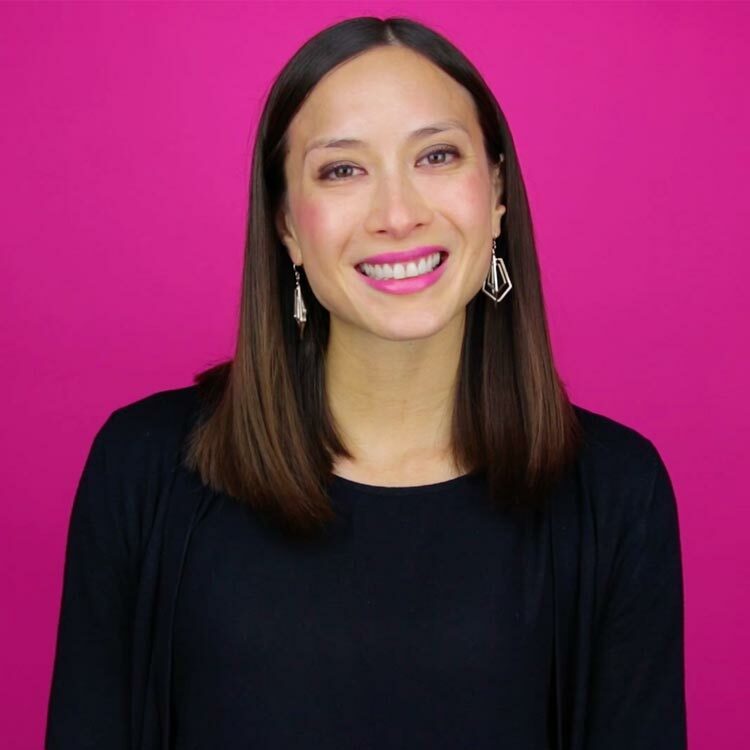 Luminesk Star Wristlet - This bag does what? 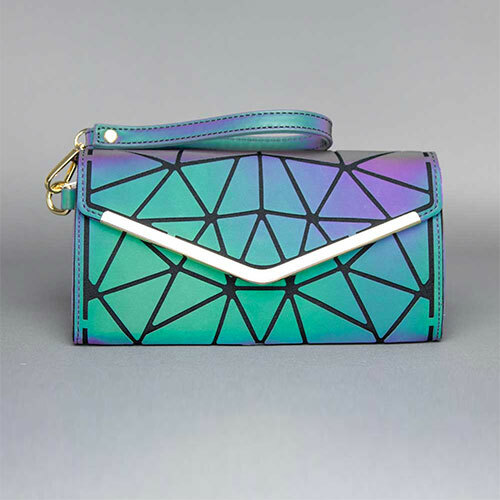 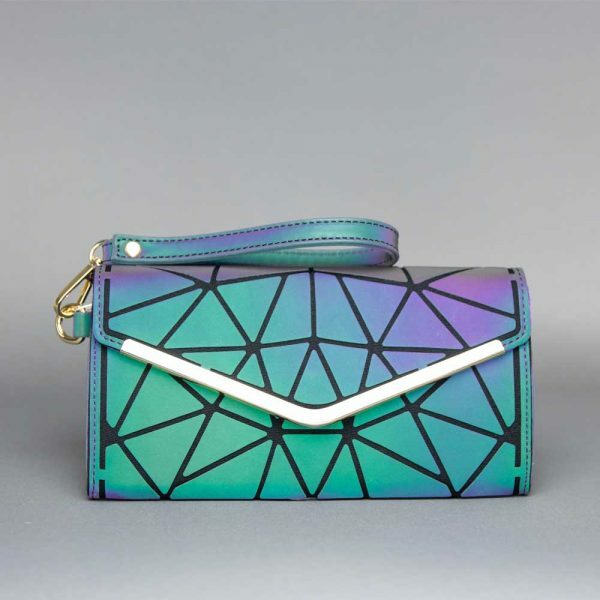 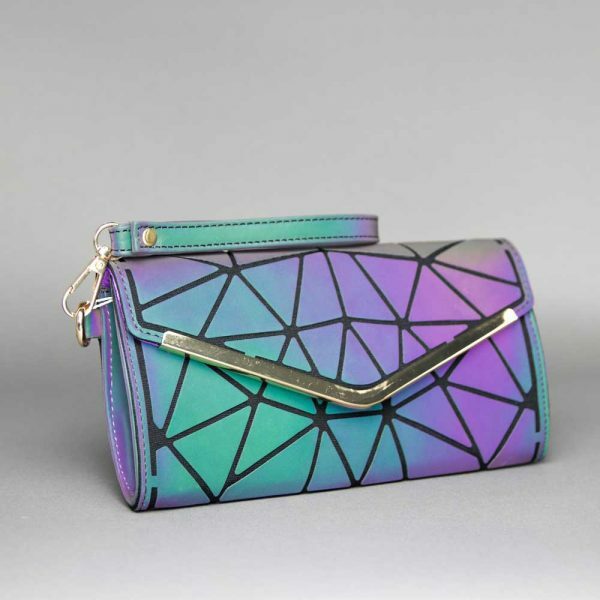 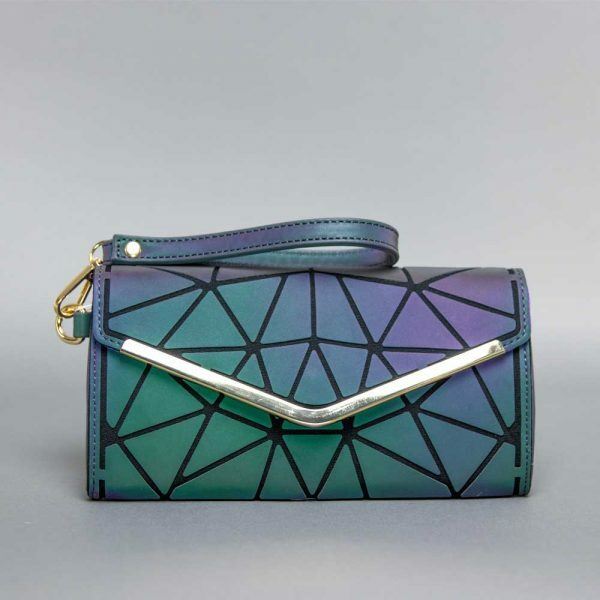 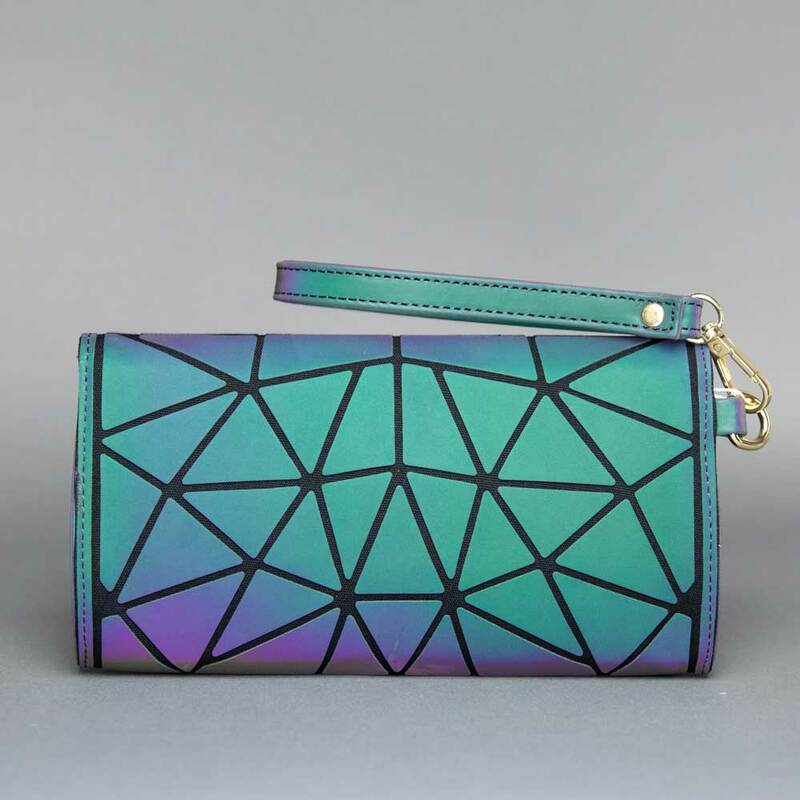 A fun and stylish wristlet that will help you stand out of the crowd with it’s vibrant hues. 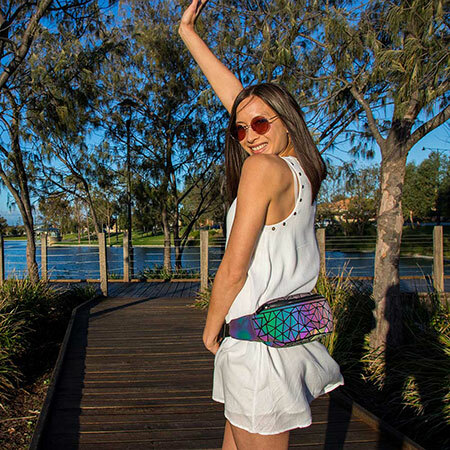 Perfect for music festivals, or for bar hopping so that you can keep your important essentials on your wrist and still hold your drink! 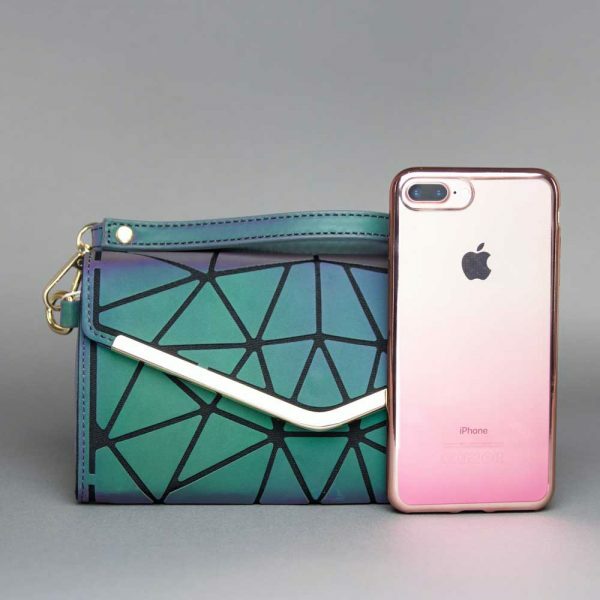 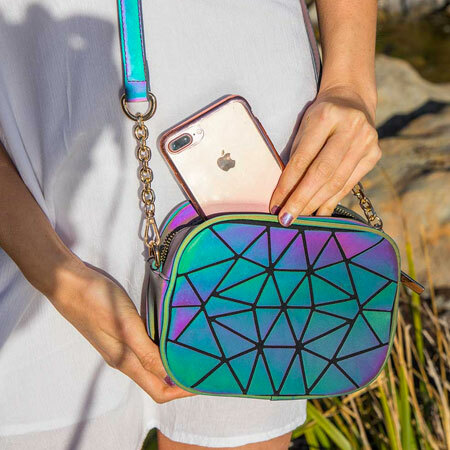 Stand out at the next big event with our fun and colorful wristlet, you’ll have everyone wondering where you got it from. 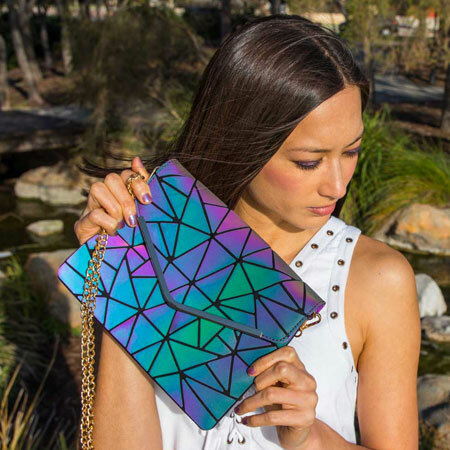 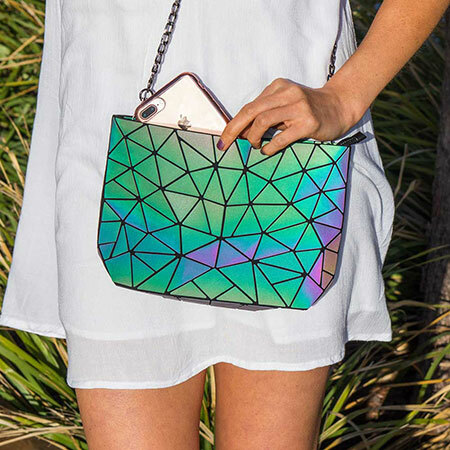 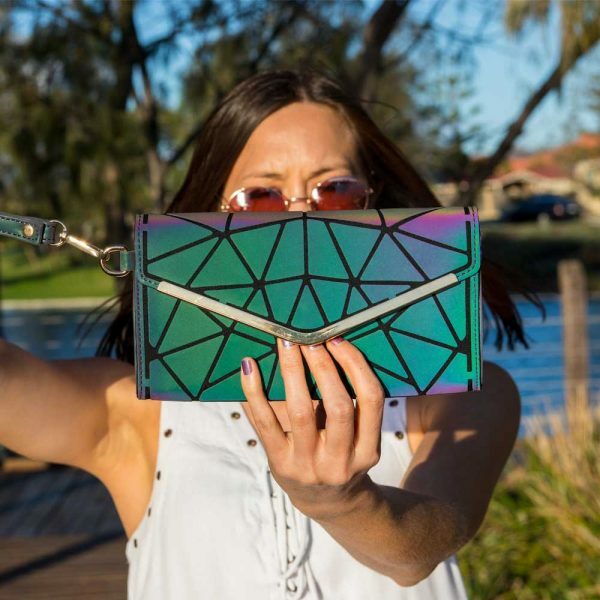 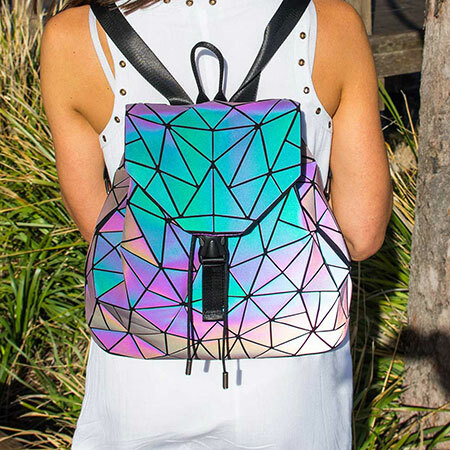 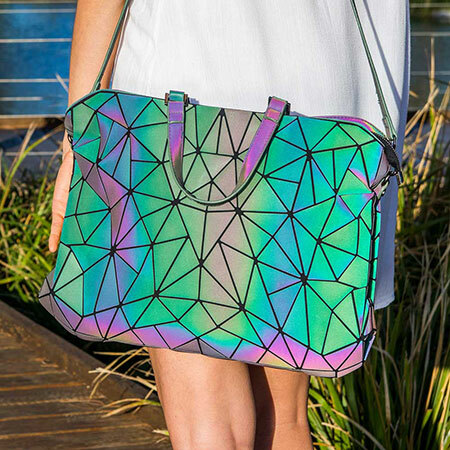 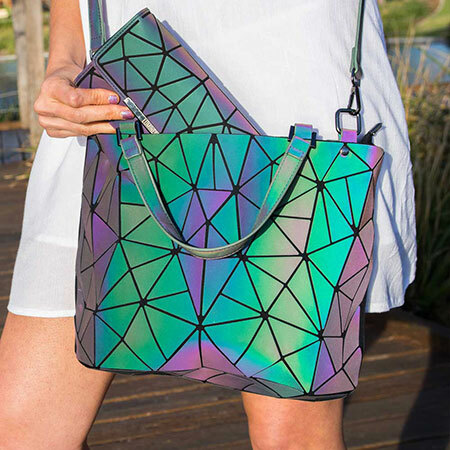 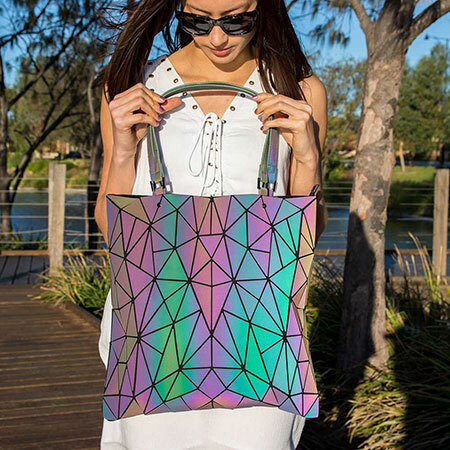 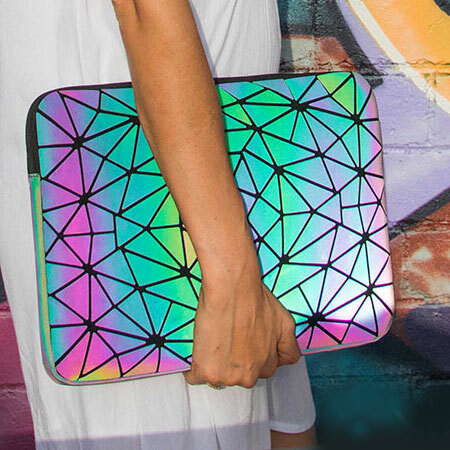 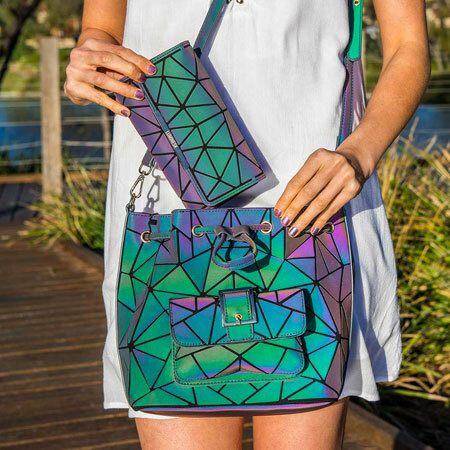 Reflect light and color into the world with your Luminesk Star Wristlet and it’s unique geometric shard pattern. 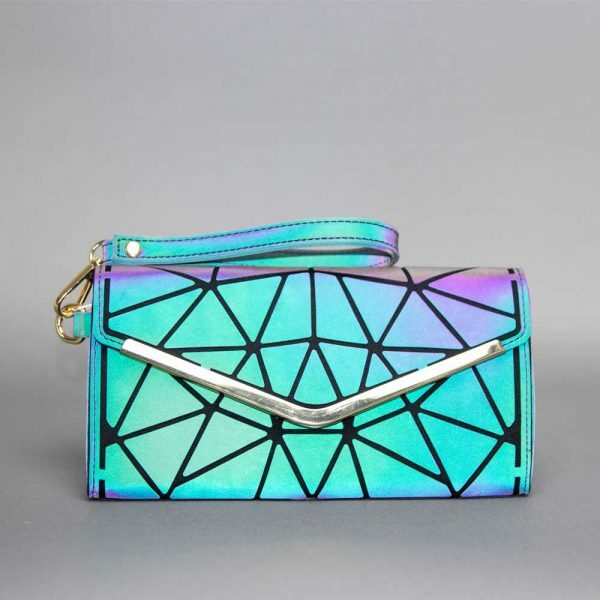 Bag Width (closed) aprox. 1.37"
Detachable Wrist Strap Length aprox. 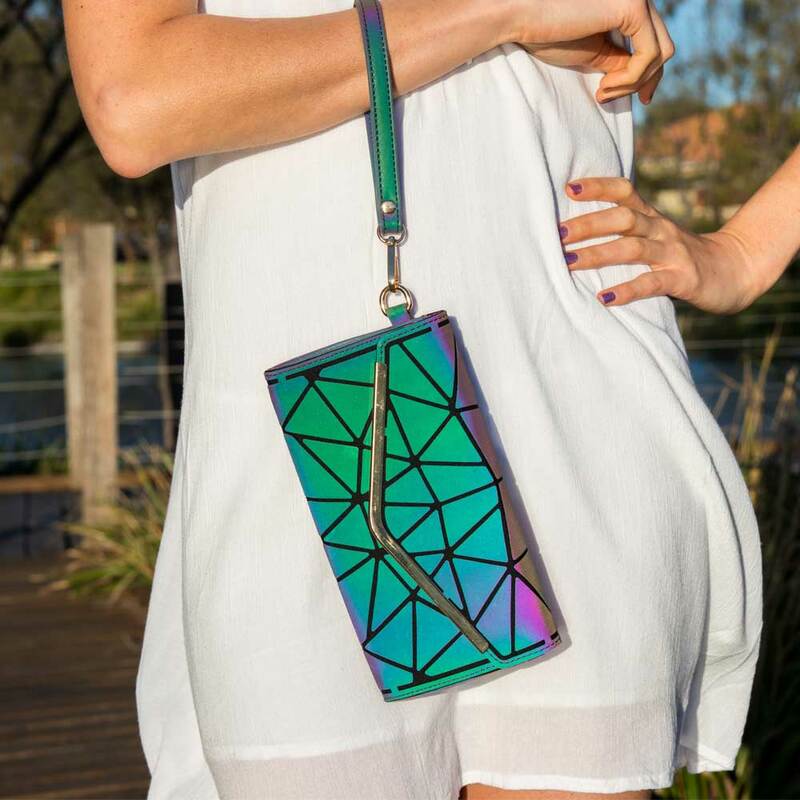 7.55"
Detachable Wrist Strap Width aprox. 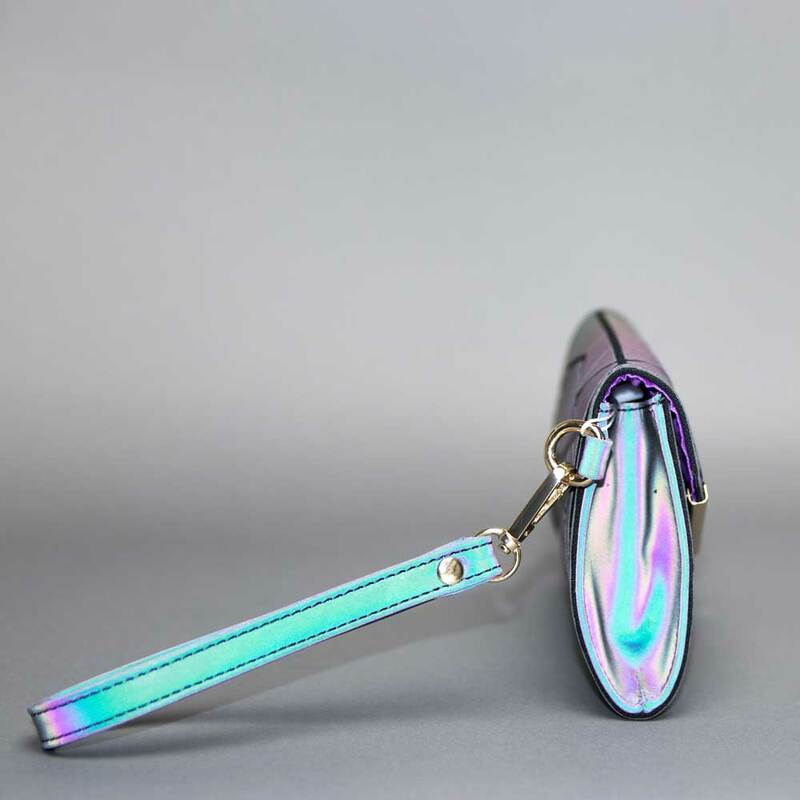 1.97"